With just one week to go until Mother’s Day on Sunday, May 13, time is ticking to come up with a unique gift idea that the special woman in your life can treasure all year round. Flowers are beautiful, but waiting in line on the day to get fresh flowers at the store will be tedious. And only for the flowers to wither away anyhow. For the same price as a large bouquet of flowers, you could make your mom a garden that will last much longer. And what better way to brighten up your mom’s day – and brighten up the house – than with a beautiful plant? 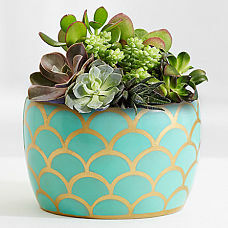 Better yet, get on board with the latest trend in shrubbery and pot your own succulent for your hardworking mom. First, pick your succulent and get the soil. So what are succulents exactly? 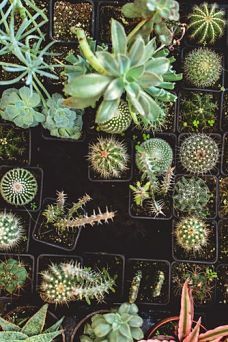 They’re extremely small, drought-resistant plants that have water-storing stems or leaves and over 25 plant families have succulents within them. 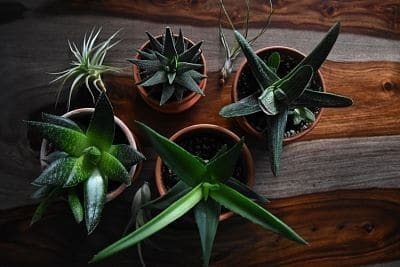 There are lots of different kinds of succulents, including a jade plant, a zebra plant, and – you guessed it – some varieties of cacti. 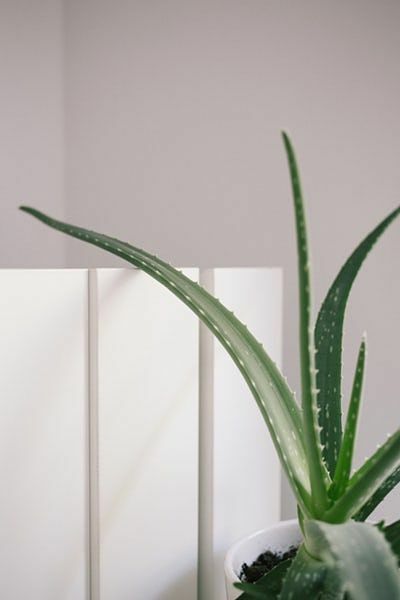 For your Mother’s Day potted succulent plant, we recommend using an aloe vera plant. 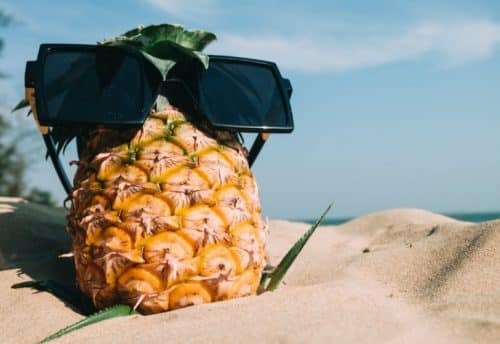 They’re inexpensive, easy to find, and best of all, useful for medicinal purposes. 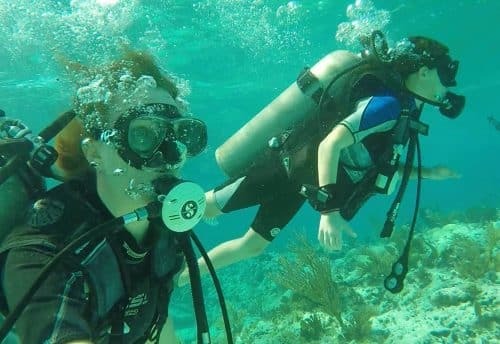 They can even grow to over 3 feet! Find yours at a Home Depot or Sheridan Nurseries. You can get your soil from there as well, you won’t need a lot. Now you’re ready to start planting! Then, find the pot to fit your plant. Pots are, again, easy to find at your local craft store or dollar store and won’t break the bank either. While you’re there, you can also pick up the materials to decorate your flower pot for your mom. You can use paint, stencils, stickers, or whatever tickles your fancy in the aisles of the store! 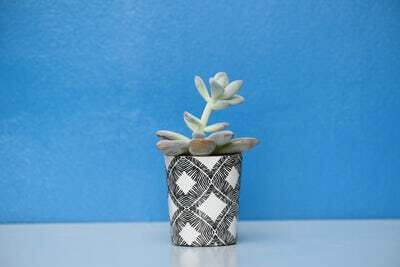 Here are three creative ideas for decorating your pot and making it extra special before you gift it to your mom on Mother’s Day. 1. Use stencils for simple designs. 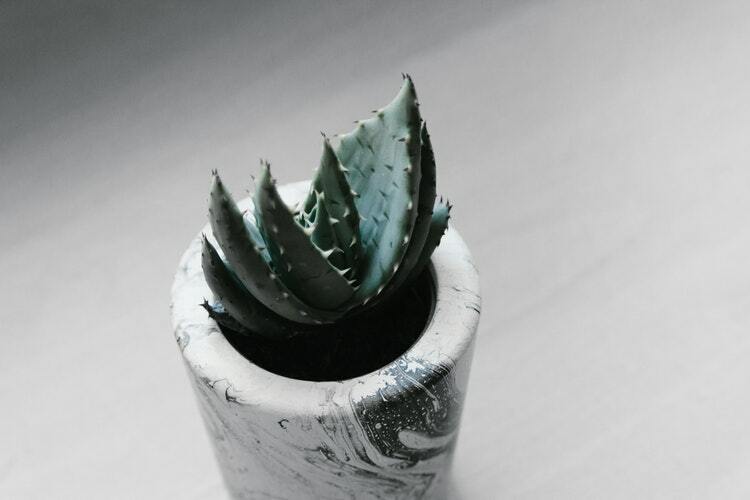 This is probably the simplest way to decorate your pot. Pick a stencil with a design you like and pick your mom’s favourite colour to paint over the stencil. 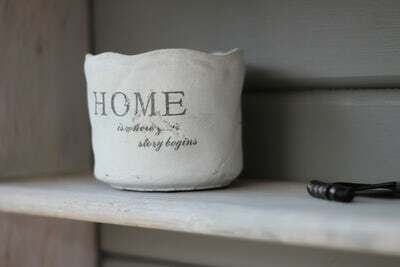 You can even try your hand at using a stencil with the words from a meaningful quote for your succulent pot. The result is an elegant home for your plant! 2. Freehand draw or paint on your pot. many or as few colours as you like to express yourself. 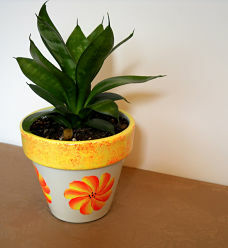 You can stick to linear geometric shapes or try drawing a flower or plant on your pot. Maybe you want to try painting something special to your mom, like a building from her favourite city, something from her favourite sport or hobby, or a picture from her favourite book. 3. Create cool effects with paint. Think outside the box and use paint to create cool designs on your pot, like the one on the left that is supposed to represent the Milky Way. Maybe you want to try picking a design from your mom’s favourite pillow, blanket, or tablecloth that has special meaning for her and try recreating that design on the pot. Fun tip: use a glaze to go over your design on the pot after you’re finished to make it look glossy. 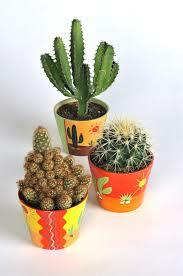 Once your pot is decorated the way you want, put in the soil and the succulent and remember to tell your mom the care instructions on how often to water your plant. Better still, make it part of your present to help her keep the plant alive and water it yourself!